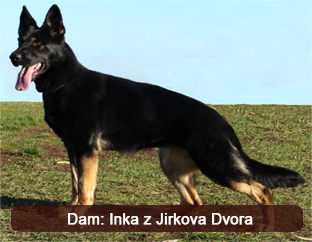 Dura Câini de Politie is a daughter of the legendary Quanto Jipo Me and Inka z Jirkova Dvora. Dura’s beauty is unmatched and anyone that’s seen her can attest to this, beyond her aesthetical appeal she leaves a lasting impression as she has drives and temperament that are equal to her beauty. 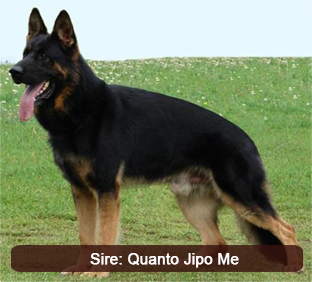 Her build is substantial with superb conformation, her bone strength is enormous, her head is powerful, her pigmentation is lusciously rich and her nerve base is rock solid. 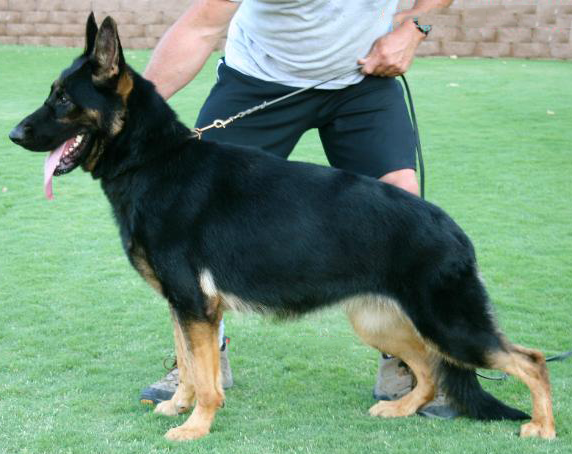 Dura is a wonderful addition to our kennel as she is a clear headed dog in the true sense of the word that seems to think out her every action before acting on it. 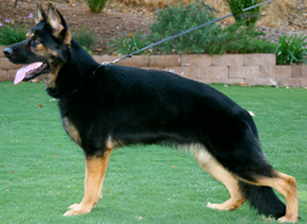 She settles down easily (on and off switch) and possesses admirable disposition that is partial to children and family members (her pack). Dura is sociable but is never at ease around strangers and always remains alert and constantly checks on her pack to ensure that they’re fine. 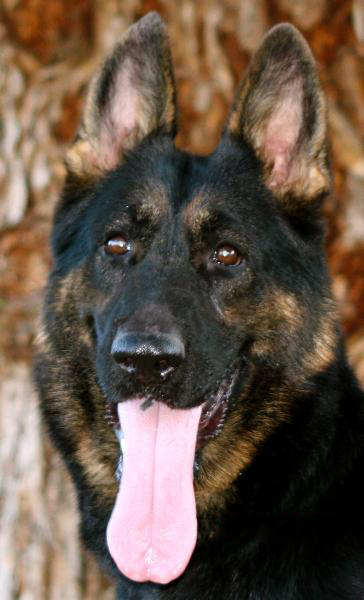 We expect Dura to produce pups that will mainly be suited for law enforcement work and family protection.